One of the more infamous spots for holiday decorations, more is definitely more at Butch McGuire’s when it comes to holiday cheer. How many other bars can say hanging their garlands required the help of volunteer firefighters? 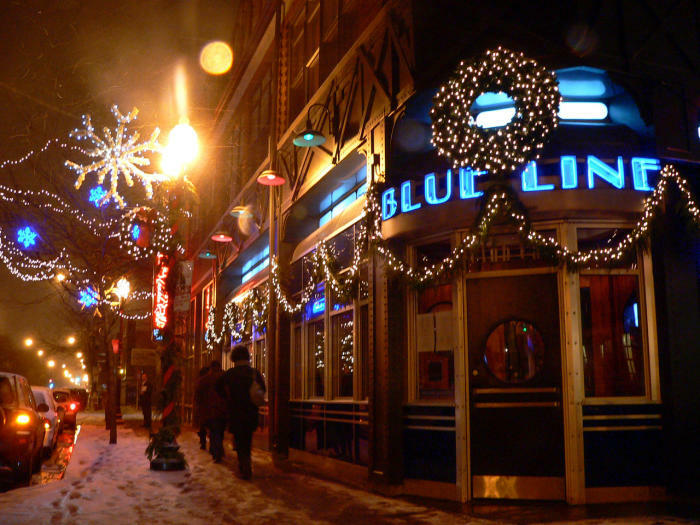 Nearly every inch of this 57-year-old bar is covered in tinsel, trees, and ornaments galore. There’s even an additional bit of holiday giving -- the model trains that run through the bar help raise funds for Mercy Home For Boys And Girls. 20 W. Division St.
An utterly elegant room based off of Holly Golightly’s cocktail party in Breakfast At Tiffany’s, it’s a natural match to add some holly and mistletoe as well. To fully experience the holiday spirit, they even host an evening of carols early in December. 350 N. State St.
Once the weather officially ends patio season, the backyard of Saint Lou’s gets a second life as a Christmas tree lot. Pick out your tree, grab some dinner, and maybe even roast some s’mores over their fire pits as weather permits. 664 W. Lake St. 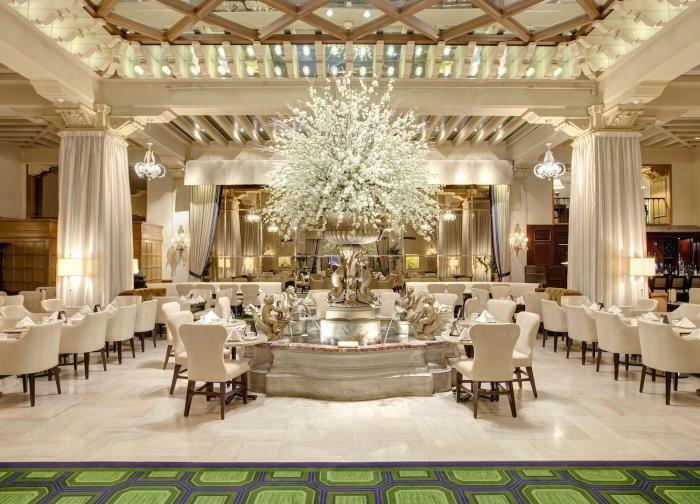 The Lobby at The Peninsula offers world-class fare and hospitality amidst their stunning holiday decorations. After dinner, pop outside for a spin on the hotel&apos;s elevated Sky Rink for breathtaking views of the surrounding city space. 108 E. Superior St. 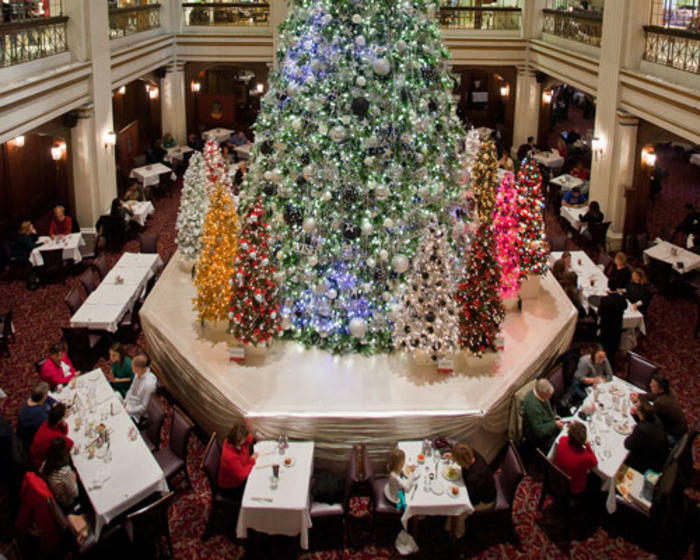 The gold standard for holiday decorations in the city, Macy’s and the Walnut Room host one of the most regal displays of holiday cheer in the entire country. It’s a winter wonderland just like your grandparents remember -- because at 113 years old, the Walnut Room was around even when they were kids. 111 N. State St. If you want something a little homier than skyscraper-high trees.and cannonball-sized ornaments, Bub City offers a more understated take on festivity. It takes a special kind of ingenuity to replace tinsel with beer cans in your wreaths -- perfect for those who want to feel festive without feeling stuffy. 435 N. Clark St.
A spot to see and be seen, Atwood is always a glamorous atmosphere, but just a touch of pine wreaths and red bows matched with their hardwood floors makes for a truly stately spin on holiday decor. 1 W. Washington St. This classic diner has been a Wicker Park mainstay for 15 years, but it’s train car vibe harks back to the golden years of cozy dining cars. The restaurant keeps the vibes going by playing holiday film classics throughout the season. 1548 N. Damen Ave. The Palm Court offers dining fit for a queen (more specifically, Queen Elizabeth and Princess Diana, who have both dined here). Offering a full tea service that clocks in at one and a half hours, the Palm Court is steeped in majesty. 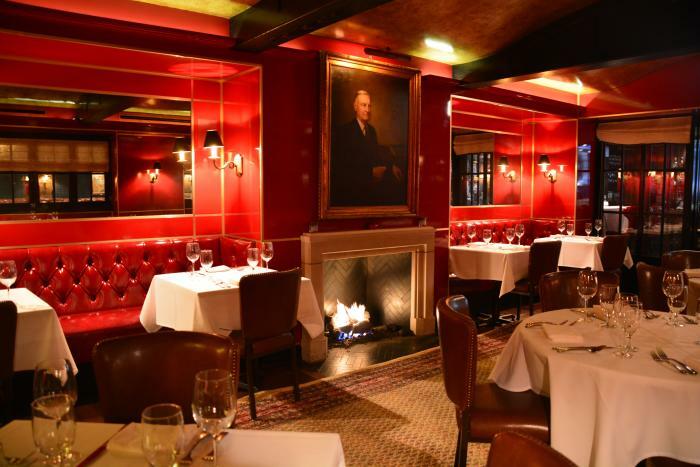 Add in their utterly tasteful winter decor, and you have the setting for an unparalleled festive dining experience. 140 E Walton St.